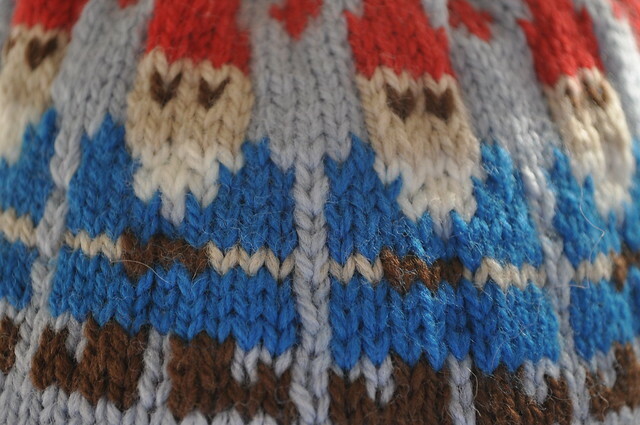 Rose-Kim Knits: Gnomes! On My Head! 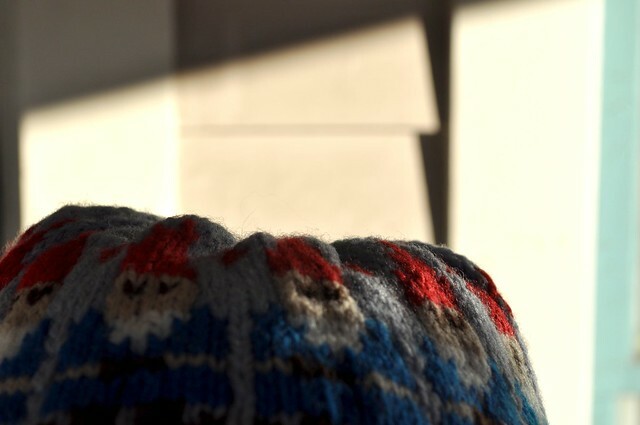 Notes: I fell in love with the gnome sweater and created this hat to act as a swatch for a sweater of my own. 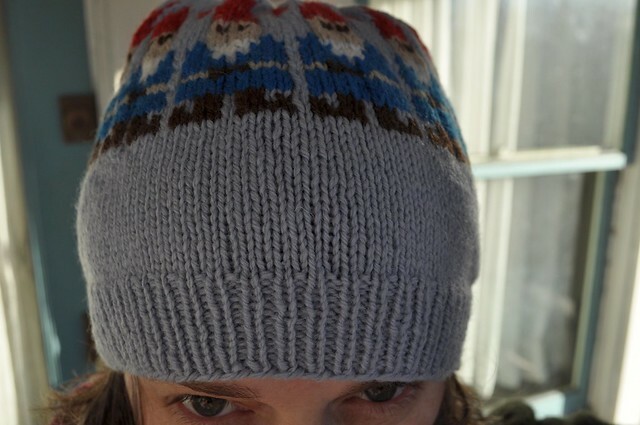 Now that I've done the hat I may have worked the gnomes out of my system. I created my own chart that is 10 stitches wide and fit around my hat 13 times. There are a few rounds with three colors. One of them all three colors are evenly spread out so I knit it holding all three yarns and didn't worry about trapping floats. The others I knit with just two colors and later duplicate stitched the single rogue stitch per repeat with the background color. I also duplicate stitched the eyes. I would start the gnomes sooner if I were to make this again. 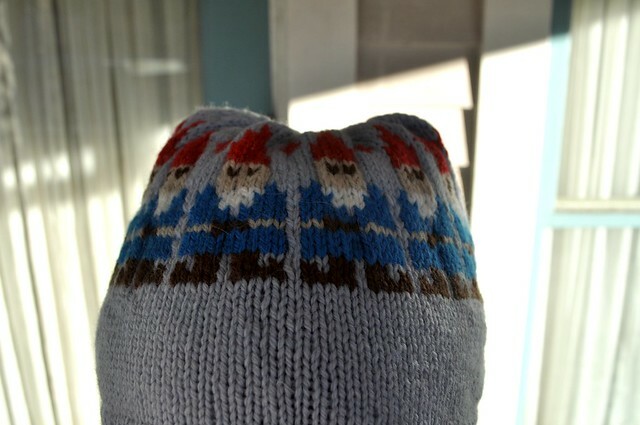 They are too close to the decreases and the tops of their hats get a bit lost. I would also add some small motif round above and below the gnomes. All in all a very fast and fun project. OMG...seriously love this! Great hat!! Adorable! What a terrific hat to wear in 2011. Hope it's your best year ever! My motto this year is, "When you're 40+, you get to wear whatever you want!"